This is a sponsored post brought to you by Treetopia. Some links below are affiliate links for your convenience. All opinions are my own, for full disclosure go here. It is Tuesday, November 21st and I am super stoked today because I finally get to start sharing all things Christmas! 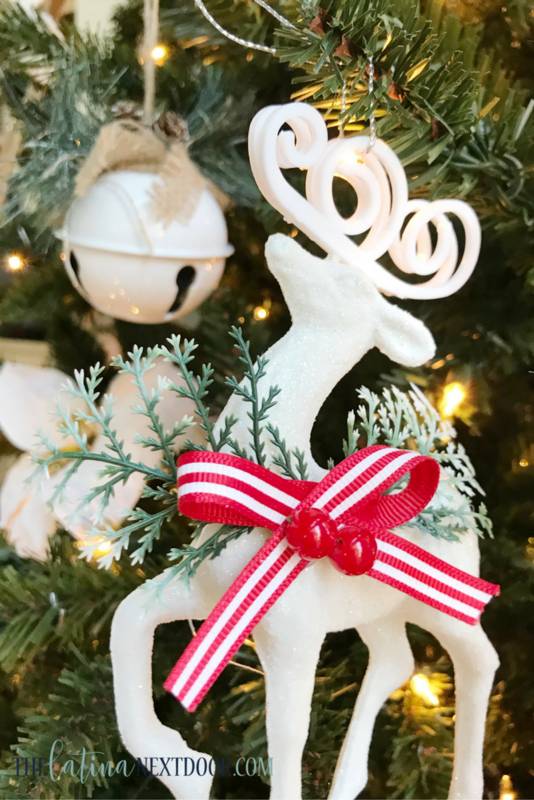 I was invited to be a part of the 2017 Design Council for Treetopia for this post and I am excited to join these amazing & talented bloggers to provide you all a range of holiday decor inspiration this week! Treetopia is also hosting their 6th Annual Secret Santa Sweepstakes so make sure you scroll to the end of this post for the directions on how to enter! 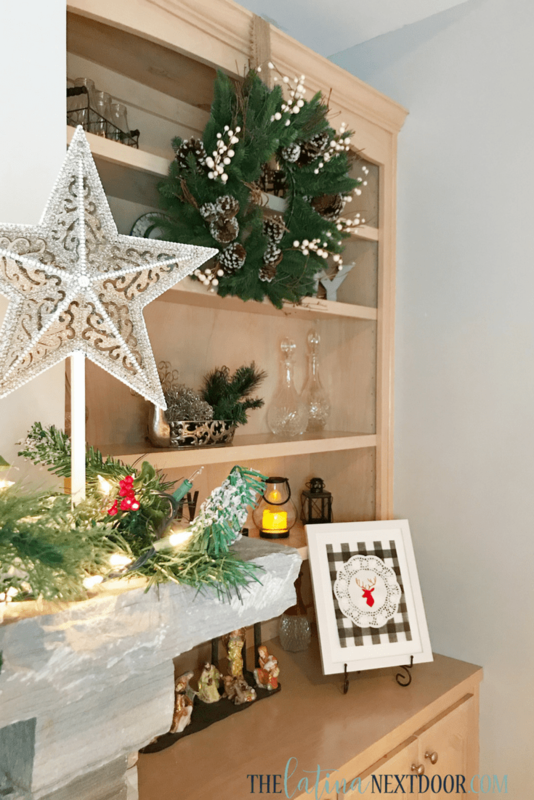 It has been exciting, yet challenging, trying to figure out how to decorate this year in my new home especially since there are many areas that still need to be updated and changed to suit our style. However, one of the things we love most about our new home are the 2 stone fireplaces. So I decided to go with what I like to call a “Rustic Chic Christmas” look this year. I wanted to keep things simple and neutral with little pops of red here and there. Treetopia provided me with this gorgeous Balsam Spruce Christmas Tree. It is 8 feet tall and is pre-lit with clear lights. It’s so full and I love how it already comes with an ON/OFF foot pedal so you don’t have to plug and unplug the tree every time. 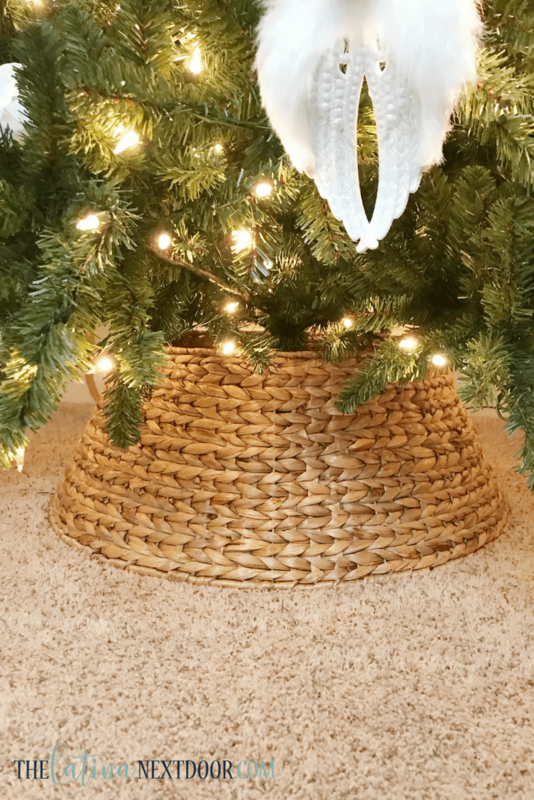 I decided to not use a tree skirt this year and go with a tree collar instead. I found mine at Hayneedle. They have since holdout of this particular style, but these are still available. 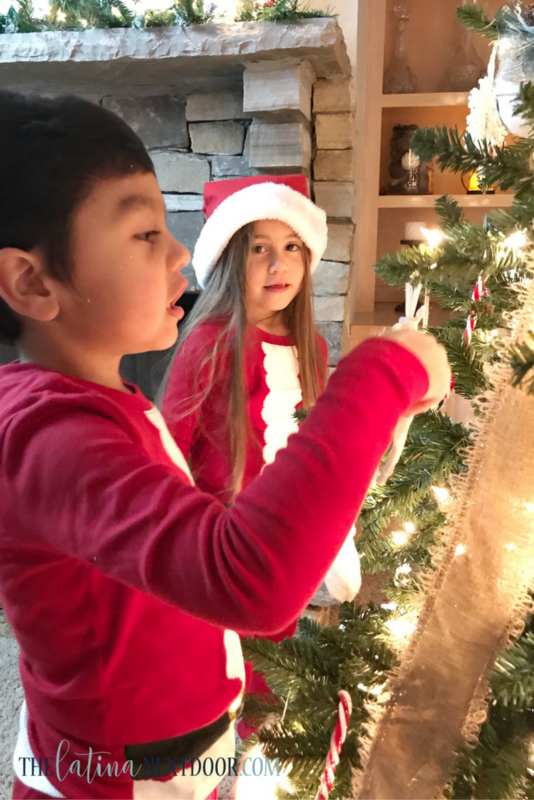 I love the natural element it brings and I don’t have to worry about the kids getting “tangled” on the skirt as they hang out around the tree. I wanted my ornaments to be mostly white with little pops of red throughout. You can purchase several of my ornaments here. 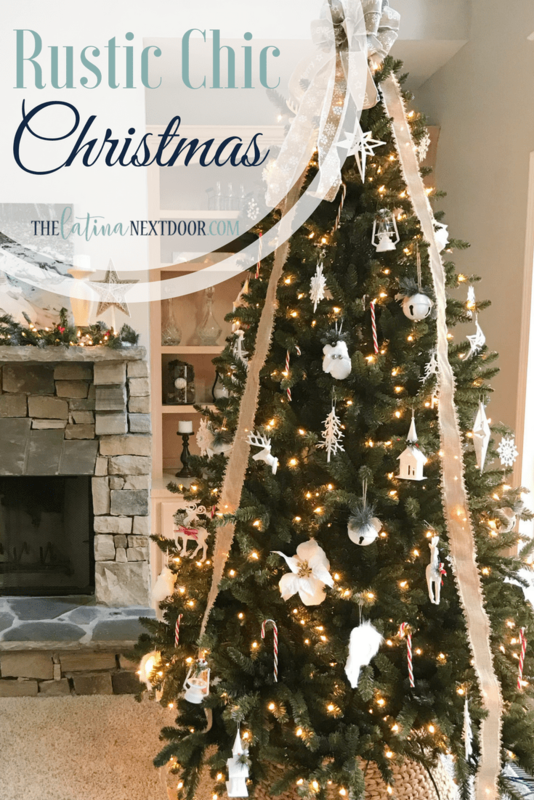 And if you have joined me for my previous Halloween and Christmas in July posts, you know that I love making my own decorations for my trees and this one was no different. 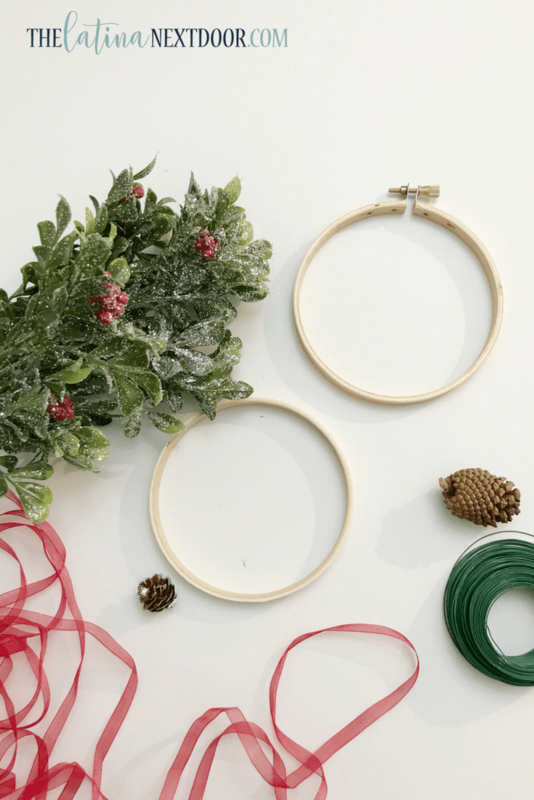 I had several mini embroidery hoops that I decorated with some holiday greenery, ribbon and hot glue. 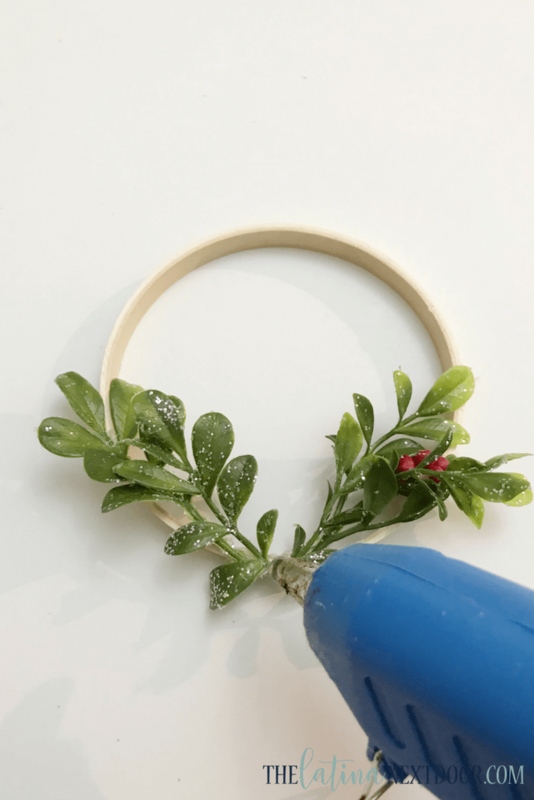 I separated the hoops, removed stems from a cute mistletoe greenery bush and hot-glued away. And then of course I had to get my little decorating committee in on some fun. They love this time of year and appreciate being involved. 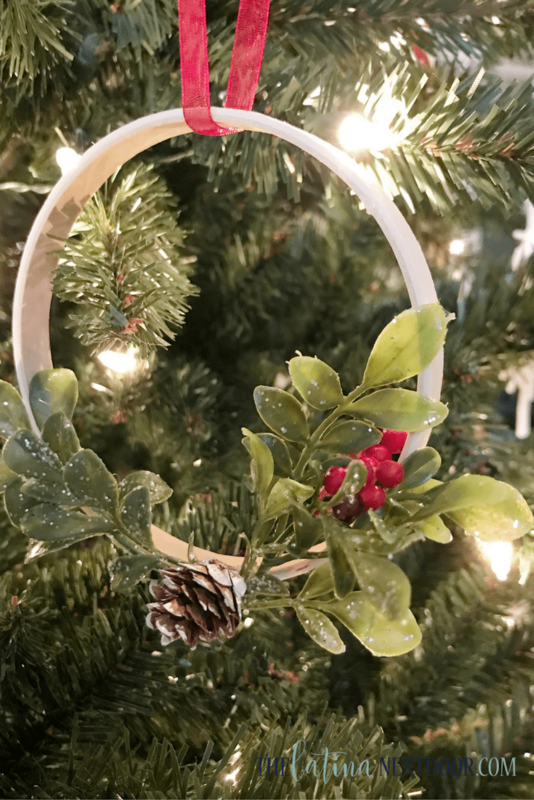 This gorgeous wreath was also from Treetopia and it is the Winter Harvest 24″ wreath. The white and natural elements like the pine cones looked perfect alongside the Christmas tree decor. I also managed to find some decor from the previous year in order to fill my bookshelves. 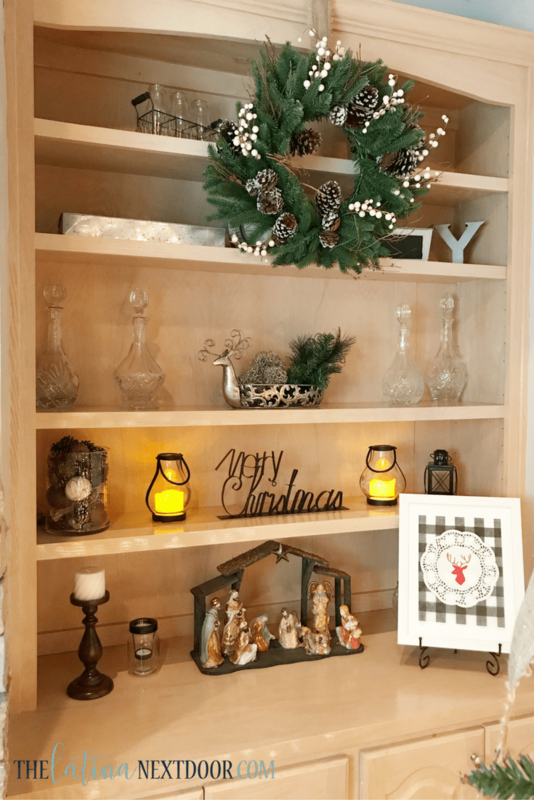 The star stand on the mantle and the deer head silhouette artwork were also DIY’s and you can see how I made those here. I think my rustic chic christmas tree came together perfectly. Spread the cheer of Christmas with Treetopia’s annual Secret Santa Sweepstakes hosted on their Facebook page! 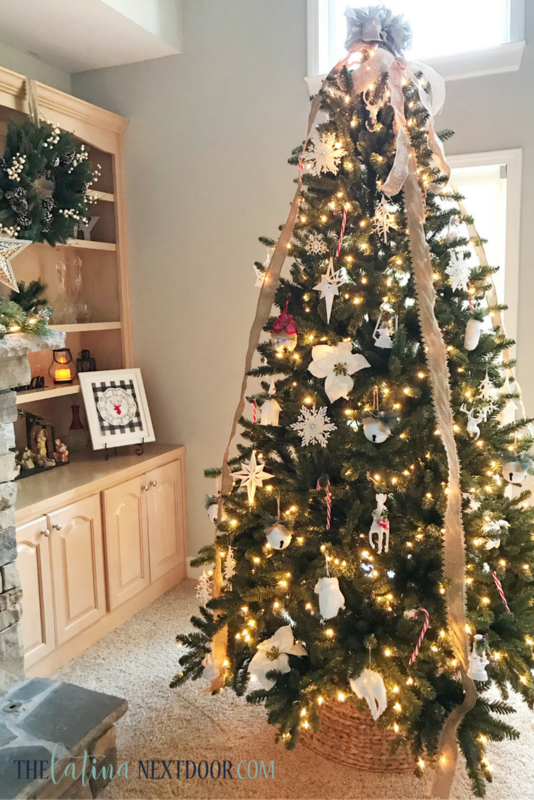 You and your loved one can get a chance to win a tree and an ornament set by choosing your favorite look from our 2017 Design Council and telling us why it suits your holiday style. Ready those sleigh bells and sing your way through the merriest time of the year! 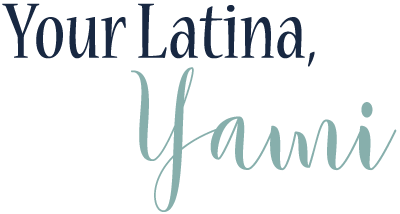 Sweepstakes ends on November 25, 2017! What is your Christmas style? Are you keeping the same from last year or are you going to make a change! Let me know what you will be doing below. Don’t forget to subscribe below for more updates and don’t forget to check out my new YouTube channel for great tutorials on DIY decor! Thank you! The best part was they were so easy to make! Yami, it all looks so twinkly and festive! I Love it. You’ve done a great job getting things done especially for just moving in! But the kids were the cutest part – just sayin. Aw, thank you Cindy! I think they were too! LOL! We had fun decorating…. now if I can only get the rest of my house looking this good. Ha! Your tree and your overall Christmas decorations are simply lovely. Your home feels warm and bright and very welcoming. I love that you go to the length to even make DIY ornaments, too. Something unique only your family has for now (until we others get our glue gun out, lol). LOL! Thank you so much Habiba! 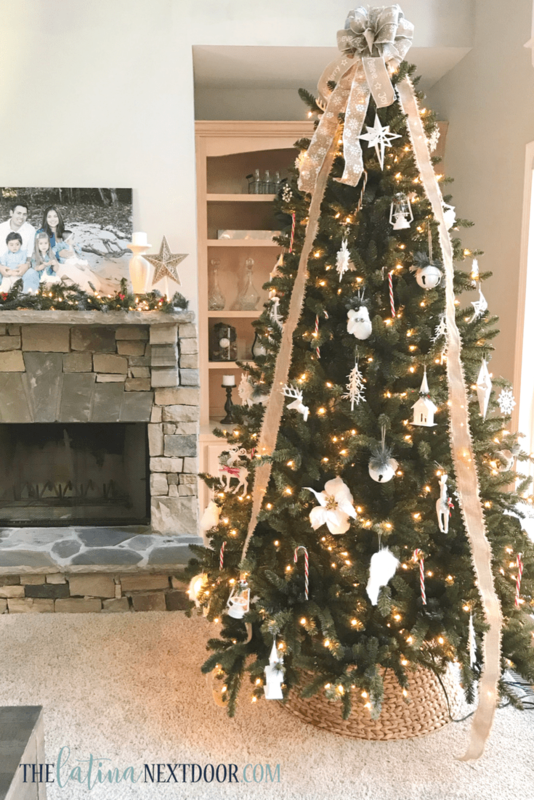 My home has been coming along… I am just glad I was able to make it feel cozy for the holidays… now on to decorate the rest of my trees! Ha!